When can an employer summarily dismiss an employee for misconduct? Can an employee sue under common law for an employer’s wrongful dismissal? Can an employee sue for a wrongful manner of dismissal? How does wrongful dismissal relate to the implied term of trust and confidence or an implied duty of good faith (if any)? This article explores these contentious issues of employment law. This article is written by Ronald JJ Wong from Covenant Chambers LLC and originally published in the Law Gazette. The “Article in 60 Seconds” is contributed by Shanice Phee. You can read the full article below after the scannable points. 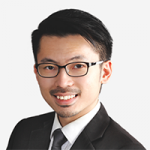 If you would like to get legal advice on employment contracts or any other legal matters from Ronald Wong, you can book a Quick Consult with him. With an AsiaLawNetwork Quick Consult, Ronald will call you back within 2 days for a transparent, flat fee starting at S$49 to give you legal guidance on your legal challenge. When can an employer summarily dismiss an employee for misconduct? Can an employee sue under common law for an employer’s wrongful dismissal? Can an employee sue for a wrongful manner of dismissal? How does wrongful dismissal relate to the implied term of trust and confidence or an implied duty of good faith (if any)? In practice, such issues become pertinent when the cause for the dismissal does not fall within any of the stipulated grounds of termination in the employment contract. From an employer’s perspective, the right to dismiss summarily may become significant where the termination of the employment contract in circumstances other than a repudiatory breach requires the employer to make severance or redundancy payments.1 Summary dismissal may allow the employer to avoid such payments, subject to the express terms of the employment contract. From the employee’s perspective, wrongful dismissal can found a claim for breach of the employment contract and thus damages. This article discusses the above issues with reference to legal authorities from Singapore as well as other common law jurisdictions. The starting point is that an employer-employee relationship is generally founded on contract and in such an event, would be subject to the general principles of contract law (or additionally the Employment Act (Cap 91) (“EA”), where it is applicable). A wrongful dismissal claim at common law is, therefore, based on the foregoing principles. The House of Lords in Johnson v Unisys Ltd  1 AC 518 (“Johnson v Unisys”) stated clearly that an action for wrongful dismissal is based on an implied obligation in the employment contract to give reasonable notice of an intention to terminate the employment relationship, or pay the employee a certain sum that is a function of his or her salary in lieu of the same, in the absence of just cause for dismissal; however, the wrongful dismissal action is not concerned with the wrongness or rightness of the dismissal itself.8 The consequence is that an employer is legally entitled to dismiss an employee without having any just cause,9 and is not bound to give the employee a fair hearing before such dismissal, insofar as he has given notice of termination or payment of salary in lieu of the same.10 Where the employer had failed to give such notice of termination or payment in lieu, the employee is entitled to claim against the employer for damages for breach of contract; such damages would amount to the employee’s salary in lieu of such requisite notice.11 The notice period may be expressly stipulated in the employment contract, and in the absence of such express stipulation, would be a reasonable period. A distinction should also be drawn between the issue of whether there was wrongful dismissal (ie notice or payment in lieu was furnished) and whether the manner of dismissal was fairly made.12 Their Lordships in Johnson v Unisys held that there was no right at common law to an employee being dismissed in a fair manner. In Johnson v Unisys, the plaintiff was an employee who alleged that he had suffered a mental breakdown as a result of the employer dismissing him on the very day he was called into a meeting where certain allegations were made against him. The House of Lords held that the there is no cause of action in common law for the unfair manner of dismissal, and that the claim was properly struck out. The above area of law is not yet settled under Singapore law. This was considered in Chan Miu Yin v Philip Morris Singapore Pte Ltd  SGHC 161 (“Chan Miu Yin”) at -. The Court there decided, in the context of a striking out application, that it was not “plain and obvious” that Singapore law does not recognise a common law claim for damages based on unfair dismissal. It, therefore, remains open to the Singapore Courts to adopt the approaches in Johnson v Unisys and/or Eastwood. While this remains a theoretical possibility, it is to be wondered how significant an in-road on this area of law would be since, as pointed out by Lord Steyn, a claimant would most likely face insurmountable difficulties in proving causation for such claims. The gloss to the above principles on termination of employment contracts by giving notice or payment in lieu is that it is open to argument that under Singapore law, there may be implied in employment contracts a term that the employer will not exercise the contractual right to terminate the employment contract in bad faith. There are significant problems with the possibility of such an implied duty of good faith. First, it is not clear on what authority the Court in Latham Scott was considering the issue. Second, the issue of exercising a right of termination in bad faith appear to be at odds with the right to terminate without giving any reason. Common law has been slow to extend a doctrine of good faith into contract law, and particularly, the exercise of contractual rights.21 The Court in Chan Miu Yin suggested that this could be overcome by resorting to the implied term of trust and confidence as was contemplated by Lord Hoffmann in Johnson v Unisys. This seems rather contrived because, as done in Eastwood, the purpose of the implied term is to preserve the continuing relationship which should subsist between employer and employee.22 The exercise of the right to terminate an employment contract is antithetical to that purpose. Why should the implied term of trust and confidence then bite on the termination of contract? Nevertheless, it remains open under Singapore law that such an implied duty exists, whether in the form of an implied duty of termination not in bad faith (or a general duty of good faith) or within the scope of the implied term of trust and confidence. No employee who has been in continuous service with an employer for less than 3 years shall be entitled to any retrenchment benefit on his dismissal on the ground of redundancy or by reason of any reorganisation of the employer’s profession, business, trade or work. The authority upon which the Court in Noor Mohamed came to its decision on the presumption of redundancy is, therefore, questionable. While the rationale for adopting such an approach is sensible, ie to prevent employers from circumventing the legislative purpose of the redundancy provision, the reasoning by which it came to adopt such an approach could have instead been based on a purposive reading of the EA. The reasoning process of the Court is significant for employment scenarios that are not governed by the EA. Taking the ratio and the phrasing of the decision in Noor Mohamed on its face, it is plausible to extrapolate the reasoning and reliance on the two English authorities above generally to all employment contracts, whether governed by the EA or otherwise. This is significant because it would be akin to an implied duty of termination not in bad faith (or duty of good faith) discussed above, or perhaps be deemed to be a consequence of such an implied duty, in which case, there would be Singapore authority for arguing that such an implied duty already exists. However, this would be developing employment law on a wrong footing. It appears then that it remains open whether Singapore employment law would develop this area. One would have to be mindful of the approaches taken in Johnson v Unisys and Eastwood discussed above, where their Lordships were cautious not to develop the common law in this regard where Parliament had already specifically legislated for it in respect of certain categories of employment contracts. Unlike termination by notice or payment of salary in lieu, summary dismissal entitles the employer to terminate the employment contract immediately without notice or payment in lieu.26 This is because summary dismissal is predicated on the employee’s repudiatory breach of the employment contract. Legal authorities suggest that misconduct, even though not expressly stipulated in the employment contract to be a ground for termination, could justify summary dismissal of an employee on the basis of a repudiatory breach of the employment contract (presumably, the breach of an implied condition of the employment contract). The EA also provides for summary dismissal on the basis of misconduct in respect of employment relationships that are governed by the EA, which will be discussed below. (b) instantly suspend him from work without payment of salary for a period not exceeding one week. (2) Notwithstanding subsection (1), where an employee considers that he has been dismissed without just cause or excuse by his employer, he may, within one month of the dismissal, make representations in writing to the Minister to be reinstated in his former employment. (3) The Minister may, before making a decision on any such representations, by writing under his hand request the Commissioner to inquire into the dismissal and report whether in his opinion the dismissal is without just cause or excuse. (b) direct the employer to pay such amount of wages as compensation as may be determined by the Minister, and the employer shall comply with the direction of the Minister. (5) The decision of the Minister on any representation made under this section shall be final and conclusive and shall not be challenged in any court. (6) Any direction of the Minister under subsection (4) shall operate as a bar to any action for damages by the employee in any court in respect of the wrongful dismissal. (7) An employer who fails to comply with the direction of the Minister under subsection (4) shall be guilty of an offence and shall be liable on conviction to a fine not exceeding $10,000 or to imprisonment for a term not exceeding 12 months or to both. (7A) Where any amount to be paid by an employer under subsection (4) is not paid in accordance with the direction of the Minister and the employer has been convicted of an offence under subsection (7), the amount or so much thereof as remains unpaid shall be recoverable by the court as if it were a fine and the amount so recoverable shall be paid to the employee entitled to payment under the direction of the Minister. (8) For the purpose of an inquiry under subsection (1), the employer may suspend the employee from work for a period not exceeding one week but shall pay him not less than half his salary for such period. (9) If the inquiry does not disclose any misconduct on the part of the employee, the employer shall immediately restore to the employee the full amount of the salary so withheld. (e) any person whom the Minister may, by notification in the Gazette, declare to be a workman for the purposes of this Act. Managers and executives are employees with executive or supervisory functions. These functions include the authority to influence or make decision on issues such as recruitment, discipline, termination of employment, assessment of performance and reward, or involvement in the formulation of strategies and policies of the enterprise, or the management and running of the business. They also include professionals with tertiary education and specialised knowledge/skills and whose employment terms are comparable to those of managers and executives. Professionals such as lawyers, accountants, dentists and doctors whose nature and terms of employment are comparable to executives would generally be deemed as such, and hence they would not be covered under the Act. Junior managers and executives earning $4,500 basic monthly salary and below are only covered partially on the basic payment of salary. All other provisions do not apply to them. Under the EA, the employer must have conducted “due inquiry” into the alleged misconduct before the employer can summarily dismiss the employee. It is not clear whether such “due inquiry” under s 14(1) of the EA would involve the application of natural justice principles, eg audi alteram partem. Otherwise, it would be merely a unilateral investigation on the part of employer at its sole discretion. There is an old Singapore Court of Appeal decision which has held that natural justice principles do not apply to a dismissal for misconduct, and that decision was in the context of a dismissal under s 14 of the EA.30 However, the Court there31 relied on an old Privy Council decision which arose from Singapore that was decided in a context of an employment contract not governed by the EA or any legislation; the ratio of this decision would at best be that there is no right of natural justice when an employee is dismissed at common law (as opposed to under s 14 of the EA which clearly provides for “due inquiry”).32 The Singapore High Court also held that “due inquiry” under the EA did not require that the employer hears the employee’s defence.33 No authority was referred to in the Court’s decision on that point. In contrast, legal authorities from other jurisdictions suggest that legislatively stipulated “due inquiries” by an employer into alleged misconduct on the part of employees would be subject to natural justice principles.34 The present state of Singapore law on “due inquiry”, therefore, pales in comparison to that in our sister jurisdictions. The purpose of legislatively requiring “due inquiry” would be arguably defeated if the employer could conduct its inquiry in any way it deems fit. The real benefit conferred on an employee by s 14 is the right to complain to the Minister and the power conferred on the Minister to order reinstatement regarding an unfair dismissal. The appellants in this case, for some undisclosed reason, chose not to exercise this right. firstly, that a party is told of the case he has to meet and of the allegations made against him; secondly, that he is given not only a fair opportunity to put his own case, but also a fair opportunity to correct or contradict the case and the allegations of the other party; thirdly, if a significant point is to be taken against him by the tribunal, he should have a similar opportunity. In that case, the Court held that the procedure adopted by the Ministry of Manpower in investigating into a summary dismissal fell short of these natural justice requirements in that the employer was not told of the employee’s allegations as it was not given the employee’s statement and there was no practice of putting one party’s allegations to the other; instead, the inquisition was conducted by way of separate interviews with various parties. Another important observation of s 14(1) of the EA is that the summary dismissal has to be on “grounds of misconduct inconsistent with the fulfilment of the express or implied conditions of his service”. (emphasis added) It is to be questioned whether the emphasised words add a gloss to “misconduct”, ie it is insufficient that there was misconduct; the misconduct must have amounted to a repudiatory breach of condition (express or implied) of the employment contract. There are, therefore, two possible ways to legally analyse plausible grounds for dismissal under s 14: (i) determine if the misconduct in question was the breach of an express or implied condition of the employment contract; or (ii) determine based on legal principles and precedents on the meaning of misconduct and the types of misconduct which could justify summary dismissal. The former approach requires an application of the principles laid down in RDC Concrete Pte Ltd v Sato Kogyo (S) Pte Ltd and another appeal  4 SLR(R) 413 (CA) regarding the determination of whether a term was a condition or not such that the breach of such a condition amounted to a repudiatory breach. This was the approach taken by the Singapore High Court in Cousins Scott William v The Royal Bank of Scotland plc  SGHC 73 at -. Where the contract expressly stipulates a particular ground for dismissal, the issue would then be whether the misconduct falls within the scope of such a stipulated ground such as to justify dismissal.36 The latter approach is where the issue of “misconduct” is understood in the light of certain legal principles, specifically on misconduct in employment relationships; this approach was adopted in the Singapore High Court in Cowie Edward Bruce v Berger International Pte Ltd  1 SLR(R) 739 (HC), albeit not in the context of the EA. The two approaches are two sides of the same coin, ie the bottom-line under both approaches is that the misconduct must be so significant such as to “strike at the root of the contract”.37 Yet, it is perhaps helpful to adopt the legal reasoning processes under both approaches together when considering summary dismissal on the basis of misconduct. After all, the determination of whether a term (express or implied) is a condition of the employment contract has to be done with specific reference to the fact that it is an employment contract and not any commercial contract. Legal authorities that discuss the meaning of “misconduct” would, therefore, be significant. It is, therefore, pertinent to consider this below. A brief survey of the following cases is pertinent to illustrate the above principles. More significantly, it also illustrates how the determination of misconduct, which is a question of fact, can be controversial, contested and unpredictable. In the Singapore High Court decision of Teo Chew Seng v Singapore Anti-Tuberculosis Association [1968-1970] SLR(R) 653 (HC), the Court held that the employee’s circulation to the rest of the staff of a circular derogatory of the employer’s senior executive officer (representing that this officer was a schemer, fixer and dishonourable) amounted to misconduct that was incompatible with the continuance of the employee’s employment; no employer could reasonably have been expected to continue to employ such an employee. In the Singapore Court of Appeal decision of Port of Singapore Authority v Wallace John Bryson [1979-1980] SLR(R) 670 (CA), the Court held at - that a harbour pilot’s involvement in a hit-and-run accident (for which he was charged for but his conviction was set aside on appeal) was not misconduct that was incompatible with the due or faithful discharge of the employee’s duty qua his employment as a harbour pilot and which could reasonably be said to seriously prejudice or interfere with or detrimentally affect the employer’s (PSA) interests. (It should be noted that the latter grounds for dismissal was expressly stipulated in the employment contract.) This case perhaps illustrates how subjective such a determination could be, since it is arguable that a harbour pilot’s recklessness in operating a vehicle could prejudice the reputational interests of the employer. In the Wellington Court of Appeal case of Smith v The Christchurch Press Co Ltd  1 NZLR 407 (“Smith v The Christchurch Press Co Ltd”),48 an employee was held by the Court to have been validly dismissed for sexual misconduct, in that the employee had sexual relations with another employee outside the office during lunch hours. The Court held that it was valid because the misconduct was an issue concerning two employees, arose out of the work situation and had the potential to adversely affect the working environment. The Court further held that actual adverse effect on the employment situation did not need to be demonstrated to provide justification for dismissal. 4. The undermining of the trust and confidence between employer and employee. In contrast, it was held in the Ontario High Court decision of Reilly v Steelcase Canada Ltd (1979) 26 O.R. (2d) 725 103 D.L.R. (3d) 70449 that an employee’s adulterous relationship with the wife of a fellow employee was not “in modern times” sufficient cause for dismissal, because the interests and reputation of the employer had been unaffected. However, it is significant that the test that the Court applied to determine the issue was whether the conduct in question, for which the employee was dismissed, was prejudicial or likely to be prejudicial to the interests or to the reputation of the employer. It is important to bear in mind that the determination of such issues must be made with reference to the specific context, taking into account social-political values and social mores and their impact on the particular employer in question. Thus, in Re Board Of School Trustees Of School District No. 34 (Abbotsford) And Shewan et al. B.C.J. No. 3256 26 D.L.R. (4th) 54 (British Columbia Supreme Court),50 the Court considered it relevant in its determination that the conduct of the employee (in this case, a teacher) would be deemed improper moral conduct in the local community (which the Court noted would have been different if it were a different environment, eg a certain other urban city), that such misconduct would lower the esteem that the community (including the students) held of the employer (the school), because the school set a standard that the community found unsuitable; accordingly, such misconduct justified dismissal. Yet, in a Supreme Court of Queensland, Court of Appeal decision, Moreton Bay College v Teys BC200811476;  QCA 422,51 the Court held that a principal’s extra-marital relationship with the mother of a student was not sufficient misconduct to found a dismissal. (This was a principal of a Christian college.) The Court noted that the employment contract did not specifically state such conduct as grounds for dismissal and that the employment contract did not refer to any Christian values or principles. In another (rather infamous) Australian decision, Orr v University of Tasmania (1957) 100 C.L.R 526, the Court held that the university professor’s seduction of and sexual affair with a student and the circumstances in which this occurred entitled the university to dismiss him summarily. In the Supreme Court of New South Wales decision of Randall v Aristocrat Leisure Ltd (2004) BC200406880,52 the Court held that an employee’s substantial wrongful conduct that is inconsistent with the fulfilment of his or her obligations to the employer validly justifies dismissal amounting to an act of repudiation of the employment contract. Further, the employee’s intentions with regard to the misconduct are important in determining the existence of the misbehaviour that justifies dismissal. The significance of the above cases is that they illustrate how thorny issues of employee’s misconduct can be. While parties may have various reasons for wanting to terminate an employment relationship, it should be borne in mind that termination of employment contract or summary dismissal of an employee for misconduct should be done in accordance with the employment contract. Where the contract is silent with regard to the specific alleged misconduct in question, there may be potential problems of actions of wrongful dismissal or complaints made under s 14 of the EA. Further, the uncertainty of the present state of law in respect of an implied duty on employer to not terminate employment contracts in bad faith or the scope of the implied term of trust and confidence with respect to termination of employment poses further snares and traps when an employment relationship sours. It would be prudent for employers or employees to obtain legal advice in such contentious circumstances. Ronald believes that lawyering is about serving people to bring about justice, well-being and peace. He practises as Associate Director at Covenant Chambers LLC and commenced his legal career at one of the Big Four law firms, Rajah & Tann Singapore LLP. His practice is in commercial litigation & arbitration, advising and representing institutional and individual clients in a broad range of disputes from multi-million dollar investment claims to employment disputes. He also enjoys a corporate business advisory practice on various areas including regulatory advice, financial services, trusts and wealth management, corporate transaction advice and non-profit organisations. Ronald volunteers pro bono with HealthServe, various legal clinics, LAB and CLAS, advocates for social justice in various platforms, and frequently authors academic and thought papers, some of which have been published in various journals.